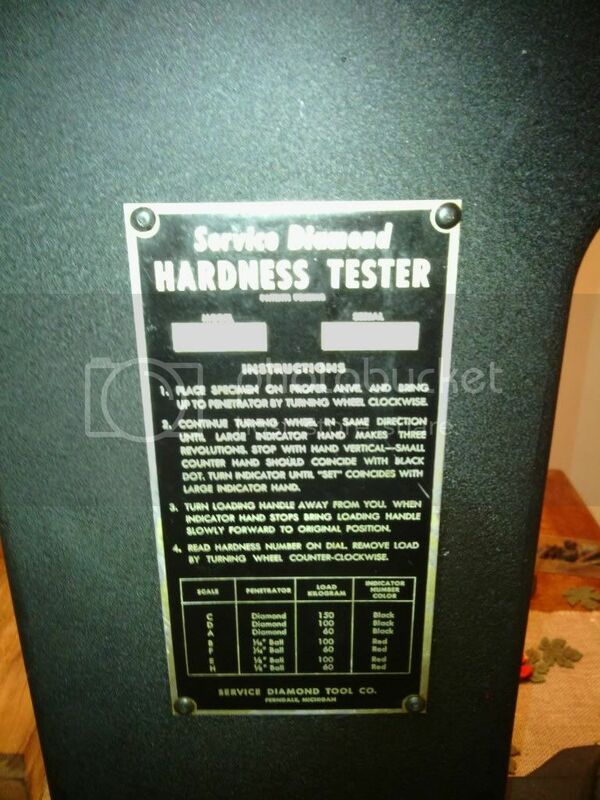 Well, I'm not sure if this is the right place for it, but a couple of years ago I bought a "Service diamond" brand hardness tester from Augusta Tech. 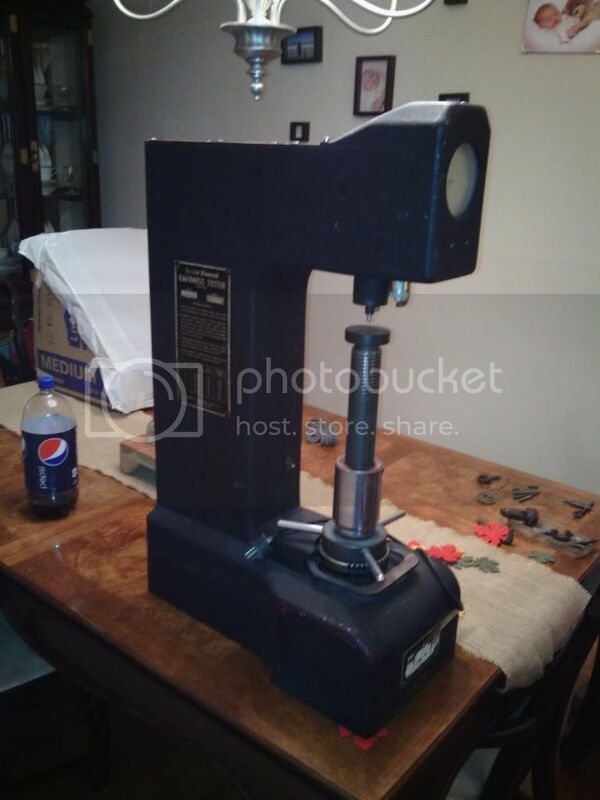 When I bought it, I knew nothing about hardness testers (still don't know much), but I found out that it didn't have the weight sets with it, nor did it have a penetrator tip. Well fast forward some and now I have a wilson with all the accessories. I no longer need nor have room for the other one, so I am selling it. 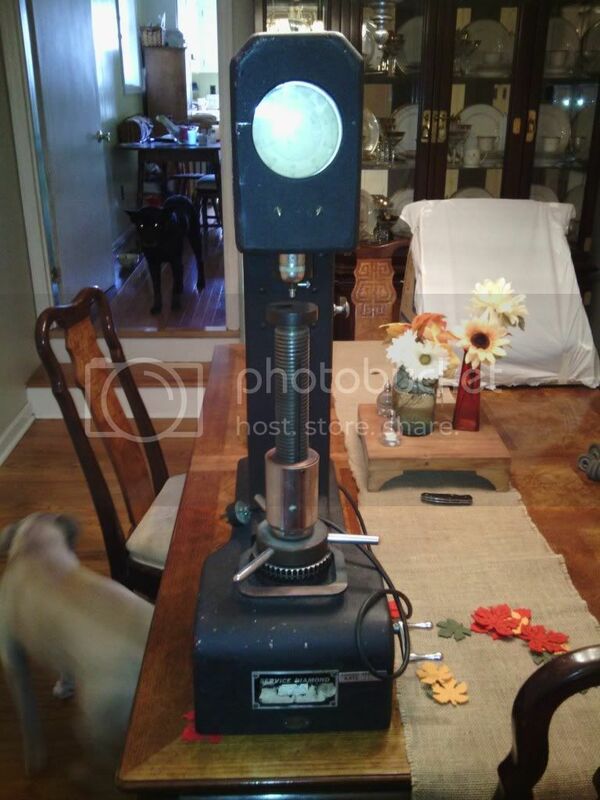 It is a Service Diamond brand hardness tester. It does not have the weights, but I will throw in a diamond penetrator tip with it. I wanted to give you guys first dibs, and since I am going to be in Statesboro next weekend at the meeting anyways, I can bring it to you there. I paid $200 for just the tester with no accessories. I'd like $175 for it and I will throw in a diamond penetrator tip with it. I'm in Newnan, Georgia and can have FedEx pick it up from your location. Can you PM me on how you want to proceed? Ok Alex, it is yours! 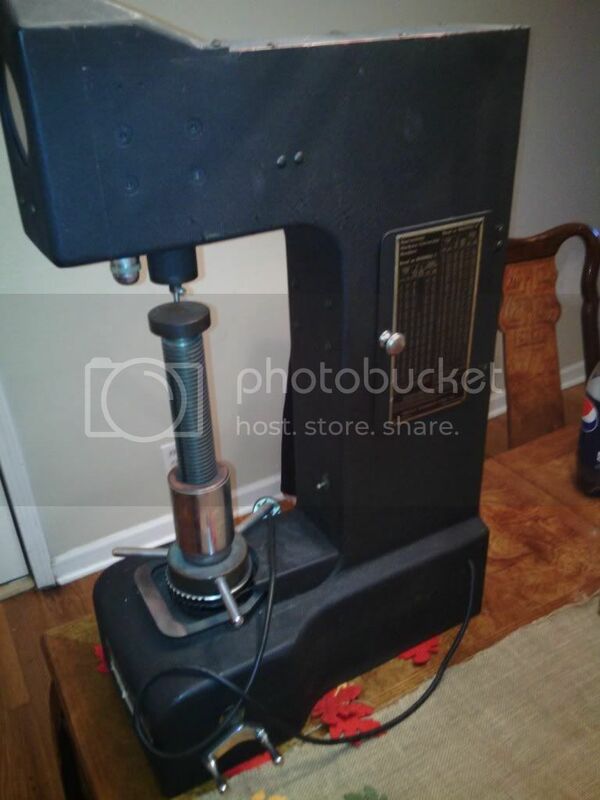 good score your gonna love having one ! Must of been the wrong place Adam.........funny how things work out. Good deal for Alex. Hope you guys have a good time in Statesboro.